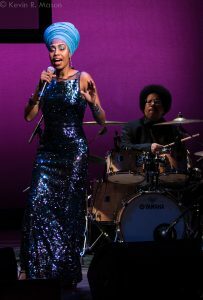 The sixth annual TD James Moody Jazz Festival took place from November 4 to 12, 2017 at the New Jersey Performing Arts Center (NJPAC). The Festival included such luminaries as The Manhattan Transfer; Hiromi & Edmar Castaneda; Crosscurrents (with Zakir Hussain, Dave Holland, and Chris Potter); John McLaughlin and the 4th Dimension; Jimmy Herring and The Invisible Whip; a one-on-one conversation with Christian McBride and Dianne Reeves; Dorthaan’s Place Jazz Brunch featuring Kevin Mahogany; and more. 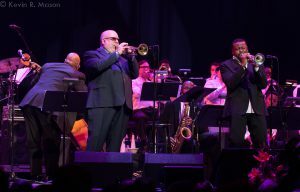 The week of events culminated in the concert, Ella & Dizzy: The Centennial Celebration, featuring an all-star line-up. An Evening with Chris Botti. Christian McBride came on stage and introduced Chris Botti as, “My old friend, we go way, way back.” He reminisced about Botti introducing him to Sting and called Chris “a wonderful person and a wonderful trumpeter.” The show started with a gorgeous rendering of “Spain” with spectacular solos by Botti and violinist Caroline Campbell. Introducing “When I Fall in Love,” Botti expressed pride in his band, saying that all of them are at the top of their game. 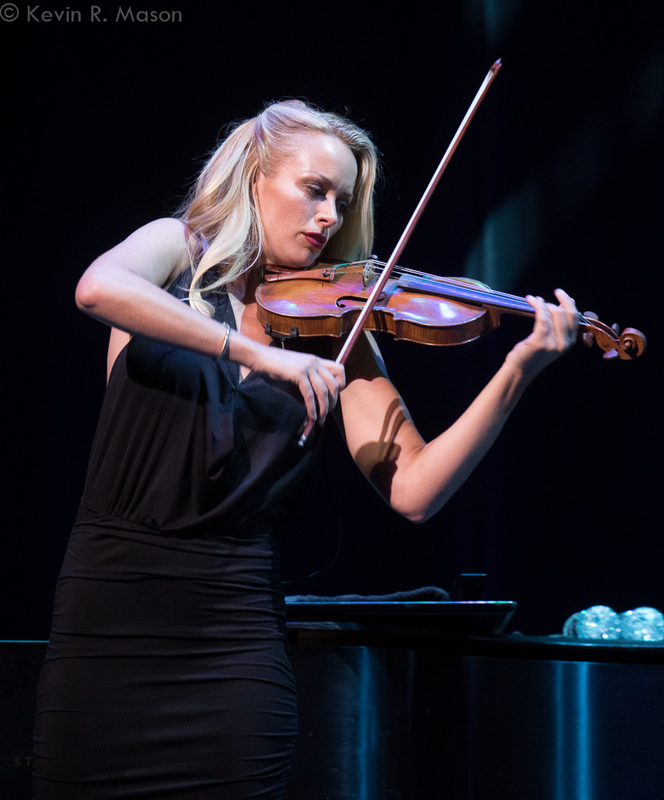 He also said that it’s occasionally like a Rubik’s Cube when he needs to get someone to fill in, but he’s been lucky enough to get people like Caroline Campbell, who plays in Andrea Bocelli’s band. 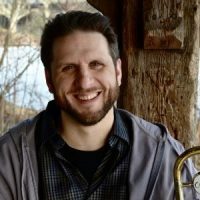 The other band members were pianist Taylor Eigsti, bassist Michael Olatuja, drummer Lee Pearson, guitarist Leonardo Ameudo, keyboardist Rachel Eckroth, and vocalists Sy Smith and Rafael Moras. 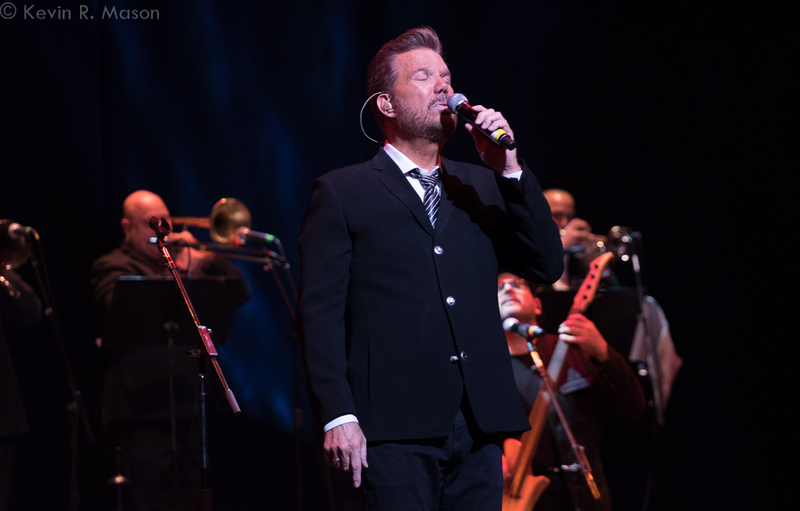 The show continued with “You Don’t Know What Love Is,” with some real pyrotechnics on the drums by Lee Pearson that were so impressive, he received an ovation during the solo. Chris called Leonardo Ameudo the centerpiece of his Impressions CD, and one of the finest musicians he knows. They performed a sublime, emotional duet of Leonard Cohen’s “Hallelujah.” On “Venice,” Taylor Eigsti played some fantastic piano riffs. During “For All We Know,” Botti came down into the audience and had some warm, funny exchanges with audience members while he was playing. He introduced vocalist Sy Smith in the other aisle, and she sang spectacularly with her multi-octave range on “The Look of Love,” which Chris turned into a stunning, rock-infused mash-up with “A Night in Tunisia.” The show continued with Sting’s “La Belle Dame Sans Regrets.” Unlike many artists, Chris welcomed the audience taking photos and videos, only asking that they don’t put any flubs, falls, or wrong notes on YouTube. Botti even allowed a young clarinetist in the audience named Sophia come up and to sit in on the drums, and also invited her mother up to video tape it with her cellphone. Caroline Campbell came back to play a magnificent solo piece, astounding the crowd with a mash-up of “Yankee Doodle Dandy” and Michael Jackson’s “Smooth Criminal” that had to be heard to be believed! 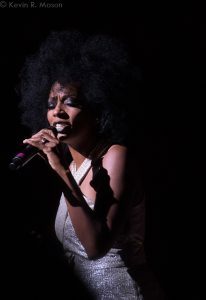 By the time the group joined her, they almost blew the roof off NJPAC’s Prudential Hall. 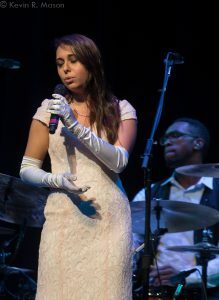 Caroline thanked the audience for their vocal expressions of appreciation, adding that classical audiences never yell “Whoo!” and she loved it. Talented tenor Rafael Moras sang “Italia” so beautifully that it gave chills. 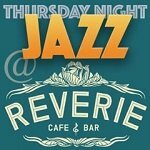 Chris then introduced a young vocalist named Veronica Swift, whose talent he discovered in a jazz club. He praised her as “the real deal,” a singer who honors the tradition of jazz. She sang a beautiful “There Will Never Be Another You,” and a lovely “Embraceable You,” displaying impeccable phrasing. The show concluded with a rousing version of Al Green’s “Let’s Stay Together,” and encores of “The Nearness of You” and a heart-melting duet of “My Funny Valentine” with Botti and pianist Taylor Eigsti. 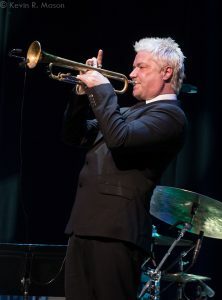 Chris Botti is noted for the depth of emotional expression he conveys in his music, and his strong connection with the audience. 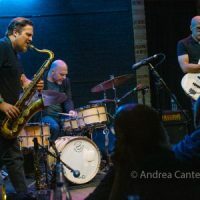 Botti is also extremely generous with the spotlight, and the concert was filled with unbelievable solos by fantastic musicians, who played a captivating combination of jazz-influenced musical styles. Grupo Niche & Willy Chirino. The show opened with vocalist/multi-instrumentalist Willy Chirino, who raised the rolling of the letter “R” and other sounds to high art on songs that included “Guantanamera.” The audience was absolutely thrilled with his performance. At one point, Willie posed for photos with fans gathered near the stage, which opened the floodgates, and dozens of people came up to get a selfie with him. Somehow, Willy managed to pose for photo after photo while still singing, and not missing a beat! Grupo Niche, salsa group extraordinary, played a high-energy show that included Cali Ajί,” “Pánico,” and “Cali Panchanguero.” There was a lot of audience participation: clapping, singing, and dancing in the seats and aisles throughout the show. The music was so enthralling that people in the balcony to the right of the stage stayed on their feet for most of the performance, and the band really brought it throughout. After an intermission, the group came back and played several more hot and dynamic songs. Much to the crowd’s delight, they did a fantastic freeze for several moments. Near the end of the concert, they gave a shout-out to numerous places in South America, including Bolivia and Colombia. Then they acknowledged Puerto Rico, which got the biggest applause. 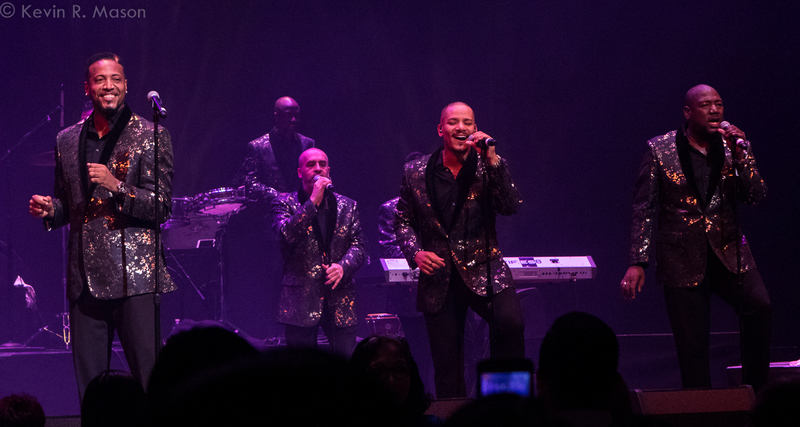 Grupo Niche brought a real Saturday-night party to NJPAC! The Sarah Vaughan International Jazz Vocal Competition – The SASSY Awards. WBGO Radio’s Rhonda Hamilton welcomed the crowd to the sixth annual SASSY Awards and noted that this is the first time a man is competing. 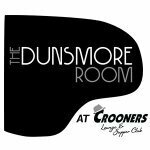 The grand prize winner received a recording contract with Concord Records and a $5,000 cash prize; the second place winner received $1,500; and the third place winner was awarded $500. 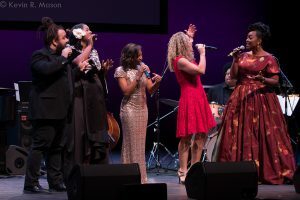 The finalists, Tatiana “LadyMay” Mayfield, Fabio Giacolone, Quiana Lynell, Christine Fawson, and Tiffany Austin, were chosen after a worldwide search with entrants from 23 different countries. All five finalists were introduced by videos, where they expressed their thoughts about Sarah Vaughan and how she inspired them. Then each vocalist sang two songs for the judges: Ann Hampton Callaway, Will Downing, T.S. Monk, Vanessa Rubin, and WBGO Radio’s Gary Walker. A trio led by pianist/Musical Director Sergio Salvatore, bassist Gregory Jones, and drummer Buddy Williams accompanied all the competitors. After a 20-minute intermission, while the judges deliberated, Rhonda Hamilton introduced NJPAC’s CEO, John Schreiber, who discussed touring with Sarah Vaughan in his youth. Schreiber, in turn, introduced TD Bank’s Nick Miceli, who said they were very proud at TD to be able to help launch new careers. Mark Wexler of Concord Records talked about the progress of the careers of past winners, and how well they are doing. Hamilton brought Jazzmeia Horn, the 2013 winner of The SASSY Awards, on to the stage. Jazzmeia encouraged all the finalists, saying she remembered being in their shoes, and added that no matter what happens, the music lives in them. 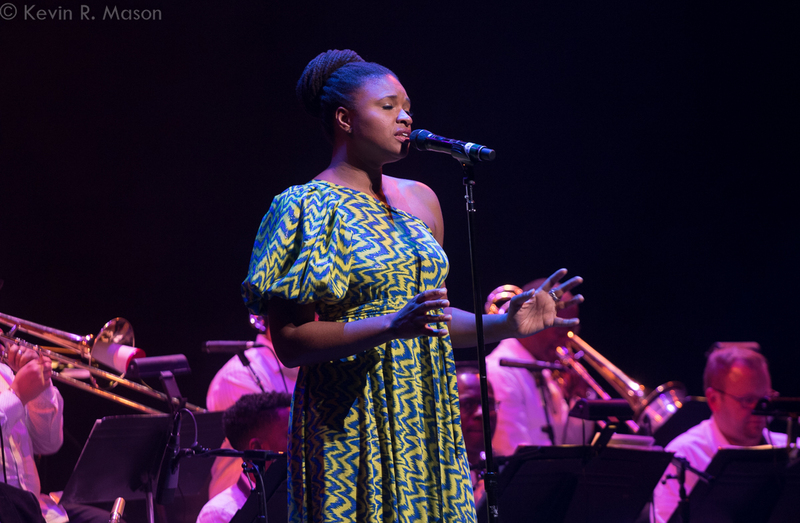 Ms. Horn sang “Tight,” which she called, “a tune dearest to my heart, by my mentor, Betty Carter.” Jazzmeia performed with such verve and style, that it’s easy to understand why she was one of the competition’s previous winners. 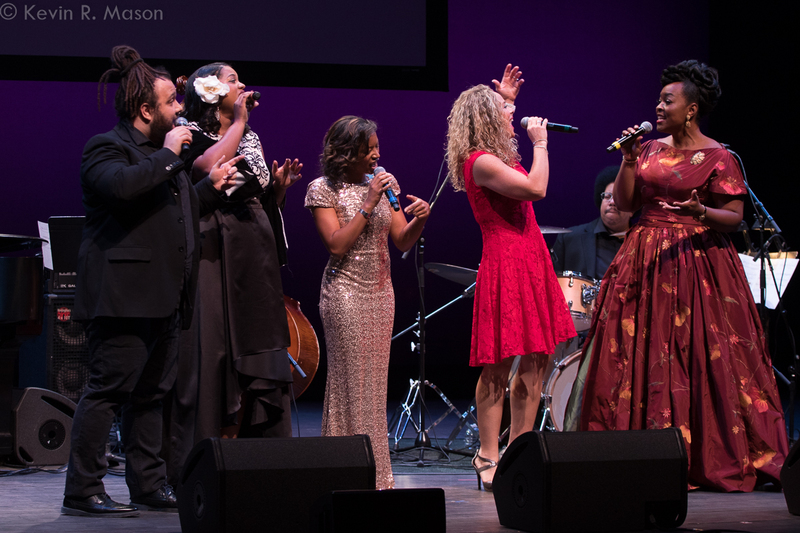 Before they announced the 2017 winners, all five finalists came out and performed a medley of Sarah Vaughan songs that included “Lullaby of Birdland,” “Misty,” “Brokenhearted Melody,” “Tenderly,” and “Just Friends.” The medley was so great that you almost wished they could go on tour as a group! The winners were announced as follows: Third place winner was Christine Fawson, second place winner was Tatiana “LadyMay” Mayfield, and the grand prize winner was Quiana Lynell! Ella & Dizzy: The Centennial Celebration. 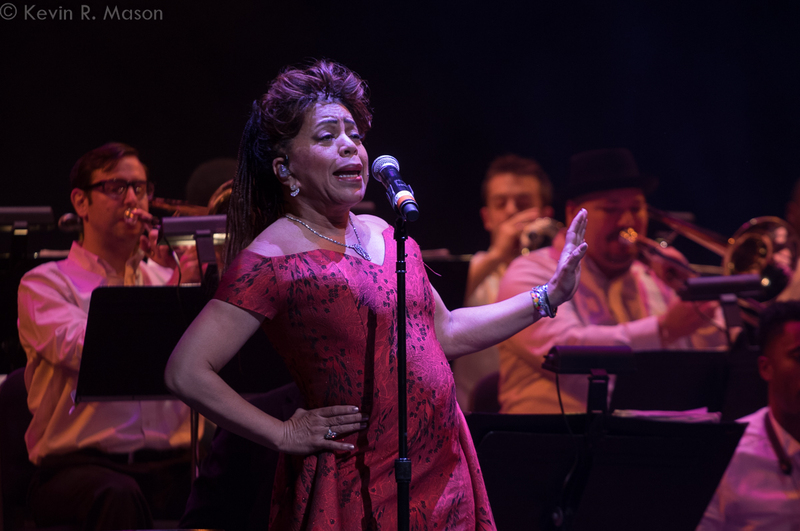 This concert, the final event of the 2017 TD James Moody Jazz Festival, was a star-studded tribute to jazz icons Ella Fitzgerald and Dizzy Gillespie, in the centennial year of their births. NJPAC CEO John Schreiber and TD Bank’s Nick Miceli shared the initial introduction duties, welcoming the audience. 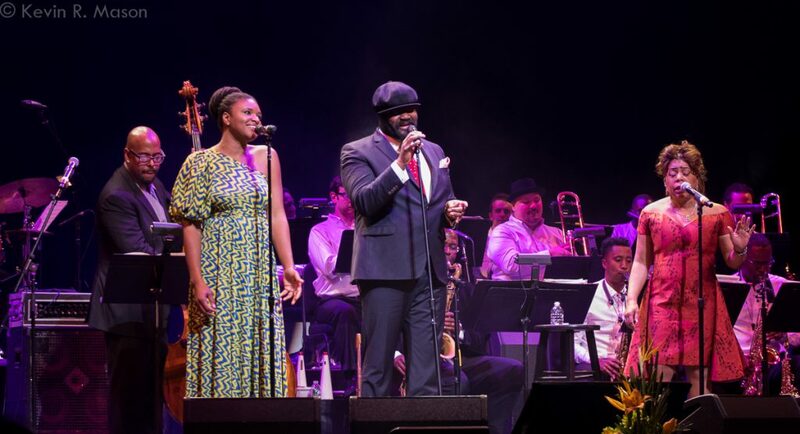 NJPAC’s Jazz Advisor Christian McBride brought James Moody’s widow, Linda Moody to the stage. Linda talked about Dizzy Gillespie being the Best Man at her wedding to James, and she spoke of the close relationship between the two men. The first half of the show, Dizzy: The Big Band Classics, featured guest trumpeters Randy Brecker and Sean Jones, backed by the Christian McBride Big Band, which included drummer Jerome Jennings, guitarist Mark Whitfield, saxophonist Ron Blake, trombonist Doug Purviance, and trumpeters Freddie Hendrix and Nabaté Isles. The set started with Sean Jones lending his excellent chops to “Doodlin” and “I Remember Clifford.” Then Randy Brecker changed places on stage with Jones and wowed the crowd with his solos on “Minor Walk” and “Cubano Bop.” The set also included “Manteca,” and Sean Jones returned for what McBride called “Dueling Trumpets” between Sean and Randy. Christian joked, “I want a nice, clean fight, no hitting below the belt. 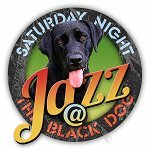 We don’t do that here.” Brecker and Jones did a tremendous job playing together, making it more of a collaboration than a duel. They gave the audience a real thrill and punctuated a great set. 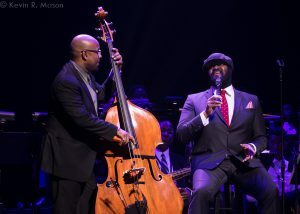 After a short intermission, Christian McBride returned to the stage to introduce Ella: The Songbook Collection. Christian called Ella “a national treasure,” and said she could do it all. Then he introduced vocalist/composer Valerie Simpson as a living legend. She returned the favor, calling for applause for Christian, and revealed that she was “in seventh heaven” being at the Festival. 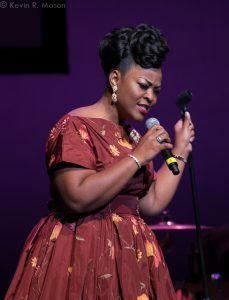 Valerie performed “My Mama Done Told Me,” to much appreciation from the audience. 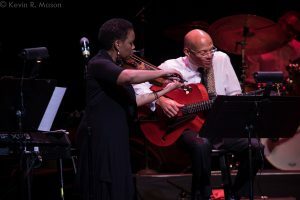 Another stellar performer, violinist Regina Carter, came out and played “A-Tisket, A-Tasket,” and managed to make her violin sound amazingly like a human voice. 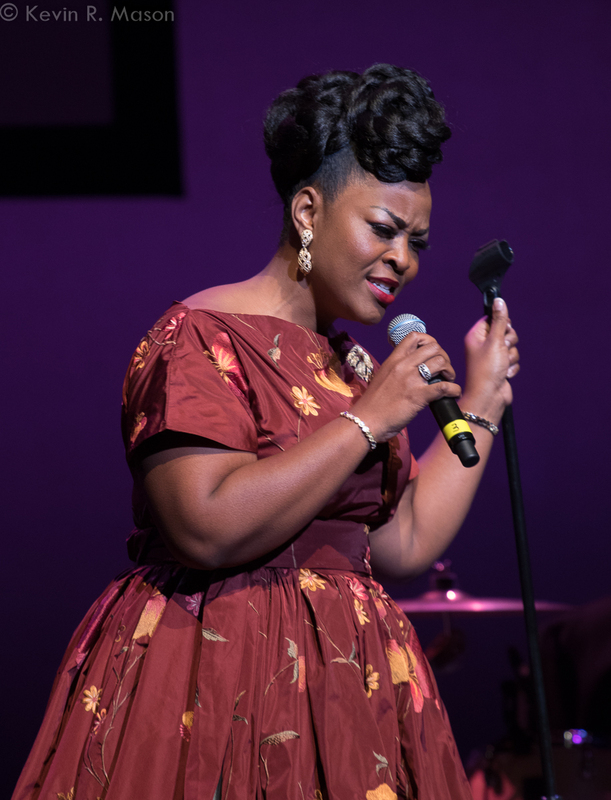 This night of exceptional performances by a host of impressive talents really paid splendid tribute to the memories and legacies of Dizzy Gillespie and Ella Fitzgerald. 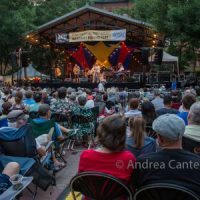 It was also a marvelous finale for the entire 2017 TD James Moody Jazz Festival! 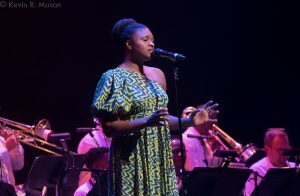 For more information on upcoming events at NJPAC, go to www.njpac.org.